British Columbians are being encouraged to pick local when shopping for plants and flowers throughout the year, and to enjoy the high-quality buds and blooms while supporting B.C.’s economy. 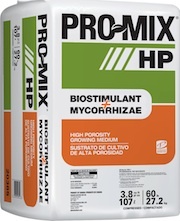 Austin, Texas-based LED lighting manufacturer Illumitex, Inc. has partnered with world-class greenhouse manufacturer GGS Structures Inc.
Only PRO-MIX® BIOSTIMULANT + MYCORRHIZAE™ offers the growth enhancement qualities of both a biostimulant and the only 100% contaminant-free mycorrhizae available in the market, MYCORRHIZAE™ Premier Tech. The germination of Bacillus pumilus bacterial spores allows a plant's root system to begin to be colonized in less than 48 hours, and the spores then stay in that root system for the lifetime of the plant. The bacteria grow around the root system promoting growth by increasing mineral absorption. Don’t let your guard down; these diseases are often especially difficult to manage. Research will again be the big winner at this year’s Flowers Canada Ontario’s annual golf tournament on June 25. Flowering plants attract pollinating insects with scent from their flowers and bright colours. That’s why flowering plants face a dilemma: should they use their resources to attract pollinating insects and, by extension, for reproduction or should they invest in defence against herbivores?